Wellness Wednesday: Are False Beliefs Holding You Back? Did you know 80% of thoughts are negative? How many of those thoughts are rooted in false beliefs holding you back? 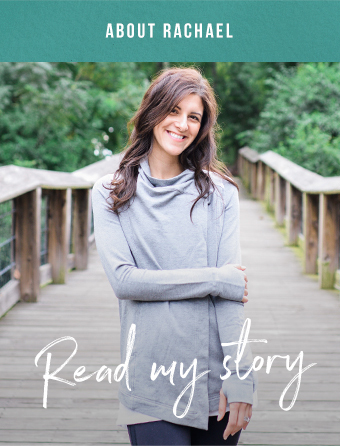 A few weeks ago, my friend Rebecca introduced me to Tara Brach's podcast. 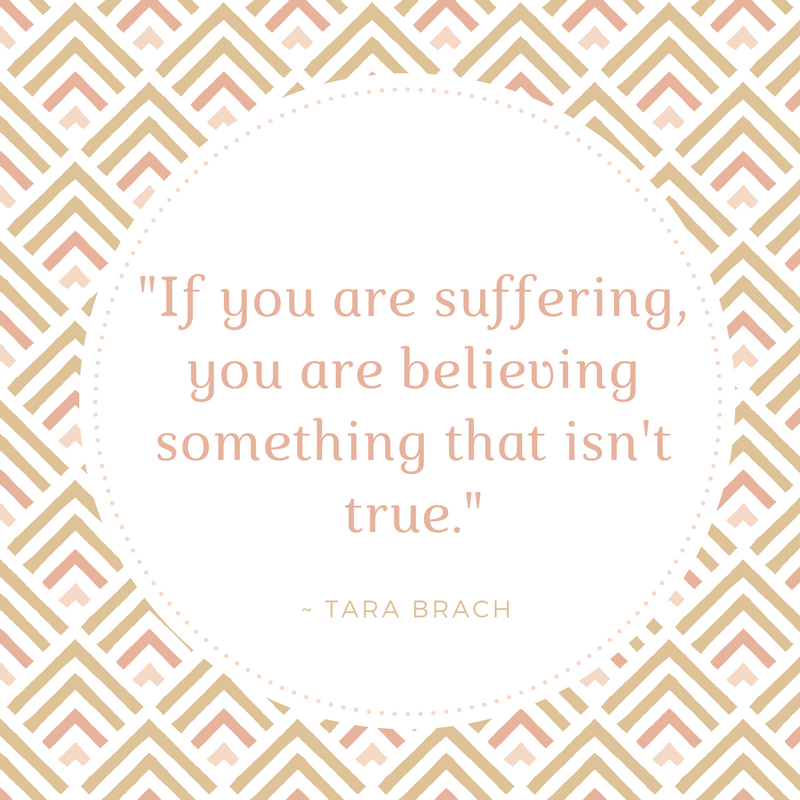 Tara Brach is a psychologist and meditation teacher, and while I knew her from my colleagues in the mindfulness/intuitive eating community and had done some of her meditations, her podcast was a new addition to my growing list. All I have to say about that is THANK YOU REBECCA! It's like therapy on the go. Listening to one of her most recent podcasts, "Four Key Steps in Transforming Suffering," she said something that jumped out and hit me like a ton of bricks. Literally, I had to pull over in my car so I could furiously jot it down in my notebook. "If you are suffering, you are believing something that's not true." Of course, I immediately started running through all the beliefs that had caused me pain that day in an attempt to test out her theory. I quickly realized basically all my thoughts that cause suffering were the result of me being overly critical of myself ....I feel like I'm probably not alone in that one. What was really interesting was that when I examined my beliefs with the mindset that they weren't true, I could immediately see the truth behind the belief, which always led me to a different conclusion, and one that didn't cause suffering at that. So while there was some element of truth fueling my beliefs, knowing that truth led to feelings that were pretty neutral. Does that make any sense? Probably not - let's go with an example! One of the things I was upset over that day was an unintentionally hurtful comment made by someone that I felt was a bit diminishing to my knowledge and experience. As a result, I felt foolish, silly, and dumb. Big jump to make? Of course, but isn't most self criticism? Examining my thoughts knowing that my suffering was stemming from false beliefs, I immediately recognized what I was telling myself - that I was unintelligent - was easily disproved. Maybe I won't be winning a MacArthur Genius Grant anytime soon, but I got good grades, double-majored in college, went to good schools. It was an easily disproved with evidence, false belief. But I could also see the reality hidden behind those beliefs, and that reality provided useful information. For example, I hadn't really had a chance to fully express my thoughts, so their brushing my opinion aside was based on their incomplete knowledge, not my own foolishness. I also realized that they were used to being in a position of authority, so I could have been more assertive and straightforward from the beginning. None of these truths caused me suffering, but rather provided me with useful information for the future. I share this with you all because I think this is a really helpful way to break down the beliefs that drive food fears and negative body image. When you get wrapped up in the suffering and pain that stems from false beliefs, it's easy to miss the simple fact that what you're believing just isn't true. Instead, take a step back and identify the underlying belief that's causing you to suffer with the knowledge that it's a false belief. Then, try to figure out what actually is true and useful information. If the belief that your body is wrong or bad is causing your suffering, take a step back and recognize that there are people who see your beauty on the inside and outside. What is true is that media only shows a narrow definition of beauty, and most people don't fall in it. If the belief that you have no willpower because of what or how you ate is causing your suffering, take a step back and recognize all the areas in life where you have displayed willpower and control. What is true is that you were probably relying excessively on willpower to try and control your eating it, flexing your willpower muscle to it's breaking point. If the belief that you have to eat perfectly is causing your suffering, take a step back and recognize that there is no consensus on what "perfect" is, so you're trying to hit moving target. What is true is that perfection is an expectation you would never place on anyone else, so it's probably not a reasonable expectation to set for yourself. If the belief that you're too damaged to figure out this intuitive eating thing is causing your suffering, take a step back and recognize that others have healed their relationship with food, and you can too. What is true is that you have already come very far, simply by making the commitment to ditch dieting. What are some of the false beliefs that have been causing you pain and suffering?